I say that but the "good" part doesn't really seem appropriate yet. How was everyone's weekend? This weekend was our annual cookie exchange with my Mom's side of the family, which is always a great time. What cookie exchanges aren't a good time? I'm not sure of one. Although, I always start to feel sick a couple hours after it because immediately after I get home me and Billy try out all the different cookies I came home with. It's pretty much a part of the Cookie Exchange handbook that you have to do that. Right? On another note, this weekend was quieter than normal and somewhat depressing. I couldn't pry myself away from watching the Newtown news. I always seem to get so invested in situations like these. More so than I probably should. This one was obviously different since it involved such innocent, beautiful children. My heart truly broke. As sad as it all is, I found myself wanting to keep watching in hopes I would find out more information. It's like my mind wants so badly to make sense of the whole thing, just like everyone else, but I'm not sure if that will ever happen. I pretty much lost it when I heard one of the victim's father speak out about his daughter that was killed, and at the same time he spoke to the shooters family and was so kind to them. That was remarkable to me. I don't know if I would have that much strength. All I know is that these families and children who survived will be grieving forever, and words are so hard to come by for me still, even today. Let's make this post a little bit more positive. I can't believe we only have one week until Christmas! Holy smokes. I still have so much to do...where has the time gone? Famous last words. haha. My Christmas was taken to a whole level (even before it has really come) when Billy and I were able to deliver a $1,000 check to Maggie and her family last night! Yep, we finally got to meet Maggie last night!! They invited us over so that we could meet Maggie (right now she is in between chemo's) and it truly put so much into perspective for me. We felt so lucky to be able to meet Maggie as she seems like the sweetest, kindest little girl. She showed us her new favorite doll, and we got to watch her play with her two brothers. Megan and her husband were so appreciative and they even gave me a plant (that Maggie signed the back of!) so that I could think of Maggie every time it blooms. How sweet is that? It was so kind and now I'm going to be taking care of that plant like I've never taken care of a plant before. haha. Once again, thank YOU all for your support and for helping to make this happen. Tomorrow I'm going to be participating in a day of silence to remember the lives that were taken last Friday in Newtown. Please read below and strongly consider joining in//donating//praying//etc. If you would like to, copy-paste and re-post any part of this, please do. Share on. On Tuesday, December 18th, there will be a blogger day of silence. We will post the button and that's it. Please try to not post anything else that day if possible. "Newtown Youth and Family Services, Inc. is a licensed, non-profit, mental health clinic and youth services bureau dedicated to helping children and families achieve their highest potential. NYFS provides programs, services, activities, counseling, support groups and education throughout the Greater Newtown area. ANY DONATIONS MADE TO NEWTOWN YOUTH AND FAMILY SERVICES WILL BE DONATED DIRECTLY TO THOSE EFFECTED BY THE SANDY HOOK ELEMENTARY SCHOOL SHOOTING." Please visit THIS PAGE to make your donation. We can't imagine how they must be feeling, especially this close to the holidays. We would love for you to spread the word on your own blog, Facebook, Twitter, etc. Let's make a difference and use blogging in a positive way. Thank you in advance for participating. 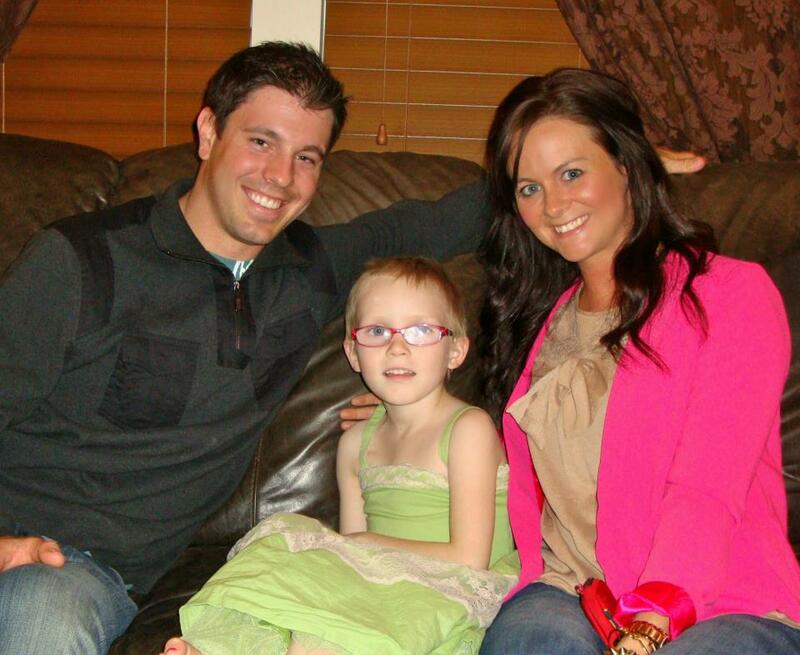 What you did for Maggie and her family is just AWESOME! You should be proud. Bloggers are awesome. We can make such a difference when we come together. Let's hope Maggie will be cancer free someday very soon. Jodi, your words were just what I needed to hear. Thank you! I do hope and pray Maggie will be cancer free someday. Also, I read your post today, absolutely amazing. What an absolute sweetie...both Maggie and yourself!! She is precious and you are such a genuinely caring person for taking the time to help her. I am glad you were able to go visit her. thank you so much Amanda! It was wonderful to get the opportunity to spend time with her. oh its so nice you were able to meet Maggie. She will be thrilled with cards. Just let me know when you receive them! I will for sure, thanks Kim! 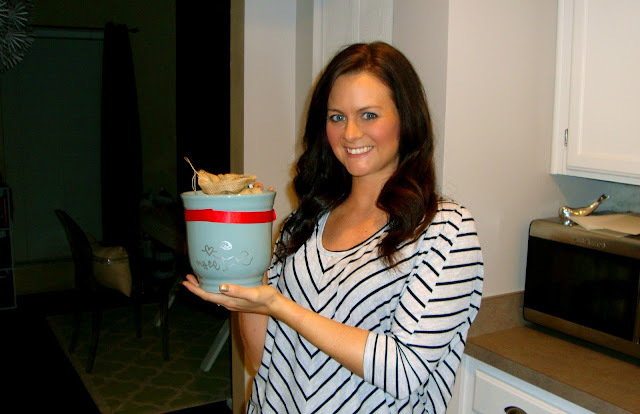 What an amazing way to use your blog, Katie! So glad we were all able to bring a smile to that sweet little girl's face! It couldn't have been done without you. You have such a big heart -- that's why I love you and your blog as much as I do! thank you girl! So sweet of you to say. I am so glad I did this and am thankful for everyone contributing!! What a wonderful thing you did for Maggie and her family! I will definitely be participating in the bloggy day of silence to honor those sweet precious babies and some of the bravest teachers I have ever known! That is so amazing you got to do that for Maggie!!!! I was glued to the news this weekend as well. Being a new Mom and someone who works in an elementary school, I just can't believe it. All I wanted to do on Friday was hold my baby. I will definitely be participating tomorrow. What you did for Maggie is just beyond words...she is lucky to have an angel like you in her life! I'm participating in the blogger day of silence! Thanks for sharing! I went to a cookie exchange as well this weekend....and ate far too many. And I too was completely glued to the news this weekend and spent most of the days crying. I think that I also get a little too invested in what happened. I love your huge heart! hi Amber! whoops..I forgot to share the link! if you go to my "a 2nd call for help" post that will give you the info on Maggie!! :) Thank you for your kind words!